Customizing your invitation email is a great way to increase the likelihood your email doesn’t get lost in the avalanche of spam and junk emails you get on any given day. 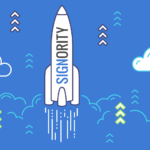 You can personalize the email subject line and edit the content of the message to ensure the signing process goes even smoother for you and your invitation email gets opened and read. 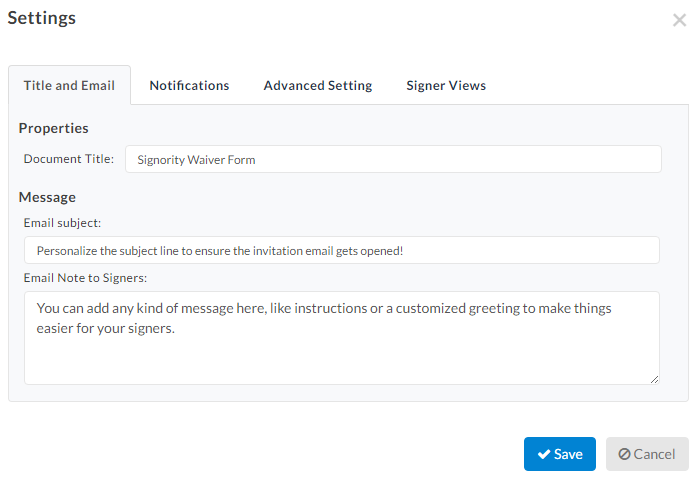 You can set up custom invitation emails for newly created electronic signature documents. Begin by creating a New Document using the +New button from the Dashboard. On the Recipients page, under Messages change the subject line and message to your liking. 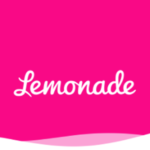 You can also create private messages for specific signers. Click the Message Bubble icon next to the signer you want to change messages for to bring up the Private Message option. This message will overwrite any message you wrote in the Email Note to Signers section under the Message option below. On the Editor page, if you want to make any changes, click on Settings in the header. In the pop-up window, you’ll see the Title and Email tab where you can make the changes you want. Once you’re happy with everything, continue the document creation process and send the document out. You can test it out by sending a document to yourself and see the difference in the subject line and message compared to the invitation email! Here is the invitation email if you had a custom message for all signers. Note the personalized subject line and the content of the email note. If you have a private message set for a specific signer, the invitation email will be different from the general message above. Notice how the content of the message has changed specifically for Alison. Once you’ve tested out the invitation emails, you can begin making templates and documents with this in mind. Make sure your invitation email doesn’t get lost in the mountains of emails and get your documents signed on time!